What do I need in order to use my digital ID-card and LeapIN services online? 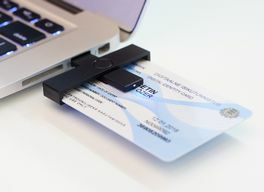 Where can I get a smart card reader? How do I use the +iD smart card reader? How can I check the validity of my identity document? What should I do when my certificates are not active? How can I get the Smart-ID app and an account? What if I don't receive an email? How can I sign documents digitally (Mac/Windows)? Why can't I sign documents digitally? What if I can’t sign documents with my ID-card? What happens if I forget my PIN codes? How can I unlock my ID card PIN codes? What should I do if I lose/lock my PUK codes? What happens if my e-Residency card is lost or stolen?